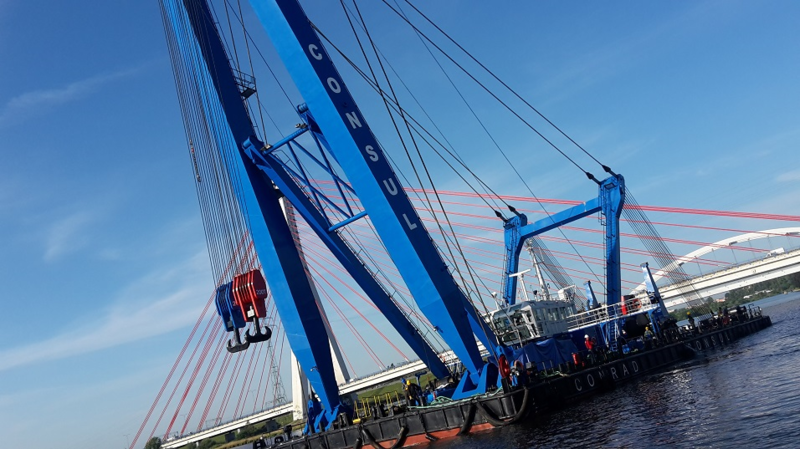 CONRAD CONSUL is the strongest sheering legs floating crane in Poland. It can handle over 400T of load. NAVINORD is responsible for general navigation and communication systems selection and installation as also for number of custom-made diagnostic solutions, i.e. Load Monitoring System (LMSmk1) handling 6 different type load-cells (tensiometers). In cooperation with our partners it was possible to develop and commission Marine Situation Awareness System (MSAS) for this vessel. MSAS makes possible to remotely supervise many parameters, i.e. weight on each lift-line. 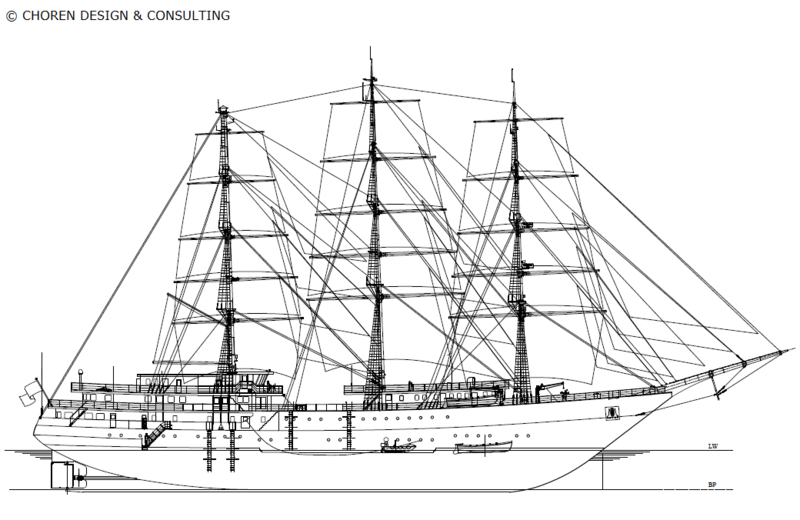 El Mellah is 110M LOA training vessel design by CHOREN DESIGN & CONSULTANCY and to be constructed by REMONOWA SB (Gdansk, Poland) for navy academy in Algeria. NAVINORD is general marine electronics subcontractor to designing offices for navigation, communication and safety as also Antennas Arrangement, Wheelhouse Arrangement, Navigation and Helmsman Console Arrangement. Some details of our job is is business confidential for now. Stay tuned! C-131 (39m LOA) is a definition of modern “super yacht”. The highest available standard of finishing, safety and travelling comfort are the principles of this unique project. NAVINORD is general marine electronics designer and consultant to the builder – CONRAD SHIPYARD. The highest luxury standard requires to combine safety and ergonomics with the elegance. We are involved with general marine electronics designs and also Antennas Arrangement, Wheelhouse Arrangement, Navigation and Helmsman Console Arrangement. This time even “basic navigation devices” (GPS, AIS, Navtex, etc…) are equipped with the touch-screens. We would like to present what we have done with the radars and ECDIS displays but we can’t… all is business confidential for now. Stay tuned! Flying Clipper is 161M LOA sailing luxury vessel, partly designed in Poland by CHOREN DESIGN & CONSULTANCY. NAVINORD is involved in general marine electronics consulting. Stay tuned! 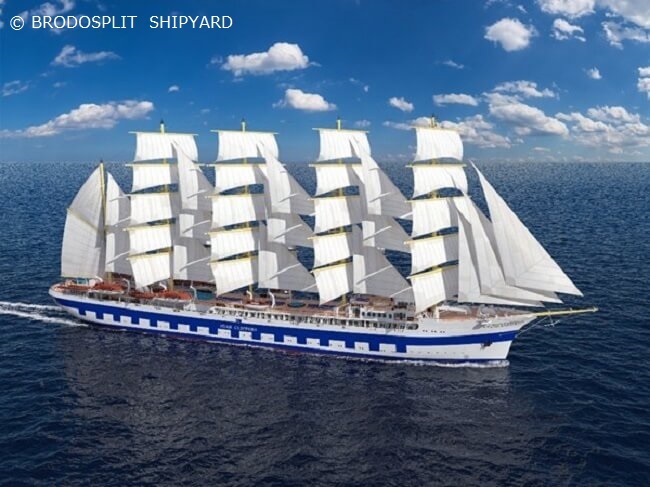 Flying Clipper is to be the biggest tall-ship ever built! We are proud to be part of the project. Selene (36m LOA) is a sailing luxury vessel, with the racing capabilities. Another unique project on the way. This super-yacht combines speed and comfort. Wealthily finished and richly equipped with the electronics aids will be a masterpiece on the seas. NAVINORD is general marine electronics designer, supervisor and consultant to the shipyard – S.M. EUROPE (Gdansk, Poland). Except usual marine electronics designs we take care about Antennas Arrangement and Wheelhouse Arrangement. This time we have to combine safety, reliability and “nice looking” design. All team anxiously awaits for the sea-trials of this monster beauty. Project and it’s designs are business confidential for now. Stay tuned! Le Que Don is 67M LOA training vessel designed by CHOREN DESIGN & CONSULTANCY. 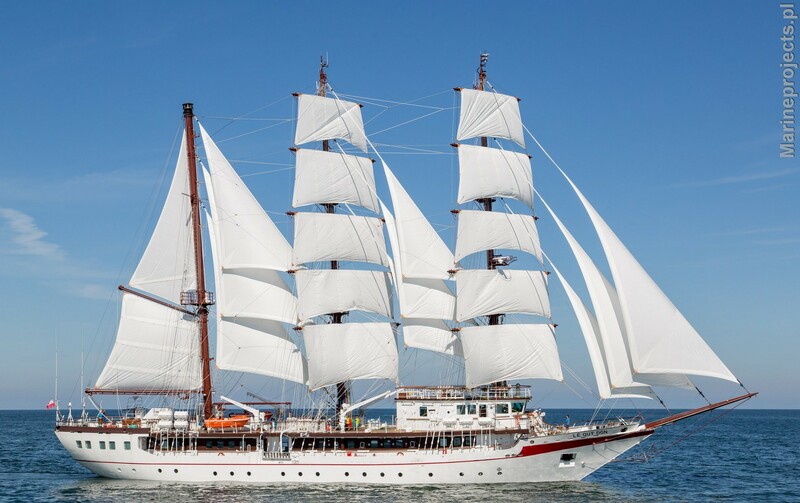 She was built and commissioned in MARINE PROJECTS LTD. shipyard (Poland). NAVINORD was general marine electronics designer and supervisor for all navigation, communication, safety and modern training systems. 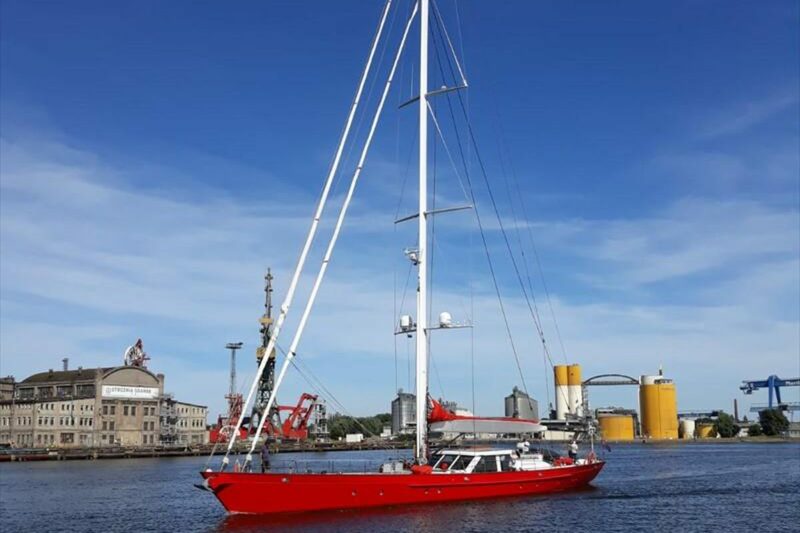 We have also take over wide scope of consultancy, as also dock- and sea-trials procedures as also Antennas Arrangement, Wheelhouse Arrangement, Navigation and Helmsman Console Arrangement. This vessel was the very first one equipped with M⁠a⁠r⁠i⁠n⁠e⁠ ⁠T⁠r⁠a⁠i⁠n⁠i⁠n⁠g⁠ ⁠S⁠u⁠p⁠p⁠o⁠r⁠t⁠ ⁠S⁠y⁠s⁠t⁠e⁠m⁠ ⁠MK2. 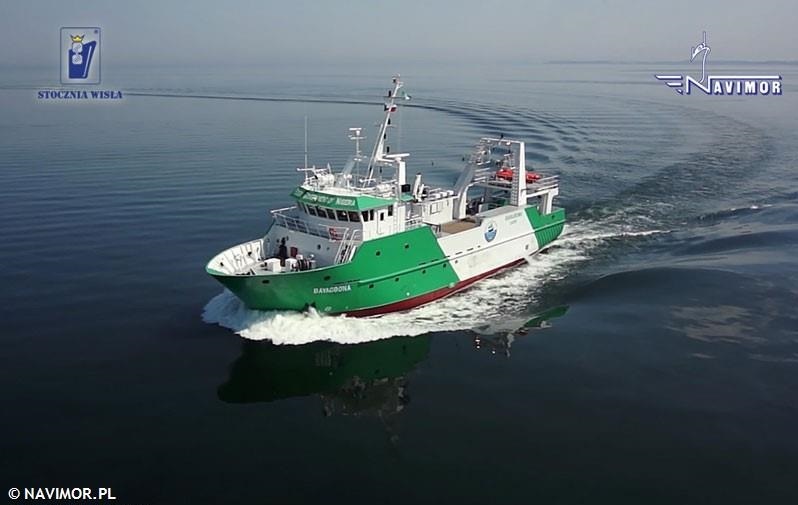 The MTSS-2 was joint project to NAVINORD, TBTelecom and MARINE PROJECTS LTD.
BAYAGBONA is actually the “Demersal and Pelagic Deep Sea Oceanographic and Fisheries Research Combination Vessel”. It was demanding project, full of technical compromises – the vessel is combined indeed. NAVINORD was general marine electronics designer (including research devices, systems and network) and consultant. Also full scope of supervision and trials of all electronics systems was done by us. We also handled a function of shipowner representatives assistant. The vessel was built and commissioned in WISLA SHIPYARD (Gdansk, Poland). 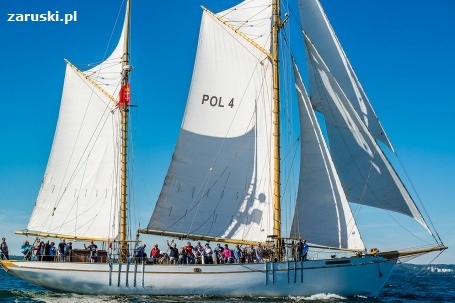 STS GENERAŁ ZARUSKI is 25m LOA wooden, traditional gaff ketch, build in 1939 in Sweden. After many years in service and “difficult history” she had to be rebuilt. In 2012 she was actually built again from nothing – only a few planks of wood ware left from the original vessel. NAVINORD supported the public initiative of reconstruction with scope of services – devices selection, pricing, designing and wide scope of general consultancy. We are proud to be a part of this public initiative.